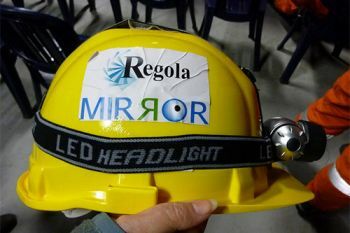 School of Informatics MIRROR Project researchers test new app with Italian emergency services. City University London's Centre for HCI Design collaborated with CoorCuneoSafety-ANPAS2013, a large-scale disaster simulation which took place in the towns of Ceva and Clavesana in Cuneo province (Piedmont region), Italy, from 5-7 April. 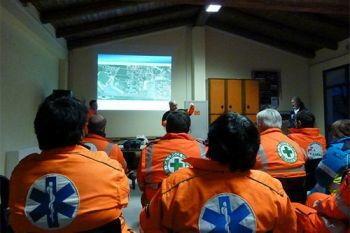 CoorCuneoSafety-ANPAS2013 was organised by ANPAS (Associazione Nazionale Pubbliche Assistenze), Italy's largest voluntary organisation for disaster management and emergency medical care. The exercise, involving the Italian police and fire and ambulance services, simulated the flood which ravaged the Piedmont region in 1994. City's Centre for HCI Design assisted the simulation by sending two researchers (Shiona Webster and Renato Fillinich) to test MERSI, a new mobile app designed for the use by the Italian emergency services in association with Regola and the Comitato Regionale Piemonte ANPAS. MERSI's goals include: reminding the user to learn from and reflect on what he or she did during an emergency; assisting users to generate and record new ideas about dealing with emergency situations; and retaining knowledge from more experienced volunteers. The app was built as part of the MIRROR EU research project aimed at empowering and engaging professional employees to reflect on their performance and experiences while on the job so as to solve work-related problems in an effective, efficient and creative manner. The simulation exercise garnered the attention of La Stampa, one of Italy's best known and widely-circulated newspapers. "City's participation in last month's CoorCuneoSafety-ANPAS2013 provides an excellent example of the application of human computer interaction tools in challenging settings. We are hopeful that the MERSI tool will be integrated into the arsenal of equipment used by Italian first responders, and emergency response teams in other countries".